Download Chapter 3, featuring tips on the Emotional domain. help students discover and build their interests. 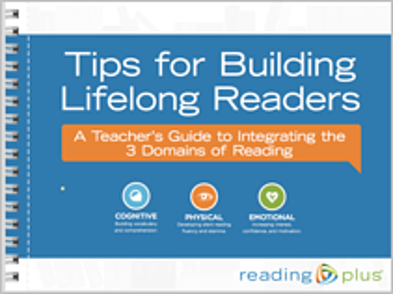 Our new guide, Tips for Building Lifelong Readers: A Teacher’s Guide to Integrating the 3 Domains of Reading, is a great go-to resource for quick tips and reminders on keeping your students on the steady and successful path to higher achievement in reading. The guide is now available free. You can download all three chapters, including the newest chapter on the Emotional domain, now. Complete the form to download today!